Beatriz at Dinner may not be perfect but it is rare and powerful in an unusual way and well worth seeing. Beatriz (Salma Hayek) is a multidimensional physical and emotional healer from Mexico with medical training and a great big heart. She has driven north to a gated mansion in Newport Beach to massage the grateful mother of a former patient. When her car refuses to start as she leaves, Cathy (Connie Britton) summons a tow truck and invites Beatriz to stay for dinner with the arriving guests. That’s our invitation to a culture clash that is by turns horrific, funny, and tense. Three couples – the wives dressed in perfect high heels and silk, the husbands in immaculate business suits – and Beatriz in blue jeans and an old shirt. Two couples are indebted for their lifestyles to Doug Strutt (John Lithgow), a powerful real estate magnate who delights in recounting his African hunting adventures. Beatriz, who respects all life whether it is human or animal, is stunned and lashes out. The dinner had begun as a typical upper level social gathering with conversation rooted in travel stories and random incidentals – anything as long as it never leads to an exchange of ideas or serious talk of any kind. The clothes, the stories, and the experiences are just another subtle form of competition. Writer Mike White has written a script full of unexpected words and actions and director Miguel Arteta has made sure it is all filmed with appropriate subtlety. In an age when wealth equals permission, Salma Hayek builds a case for a social code rooted in kindness and caring. When she is most upset, she turns Beatriz to stone and the film takes an unexpected turn. 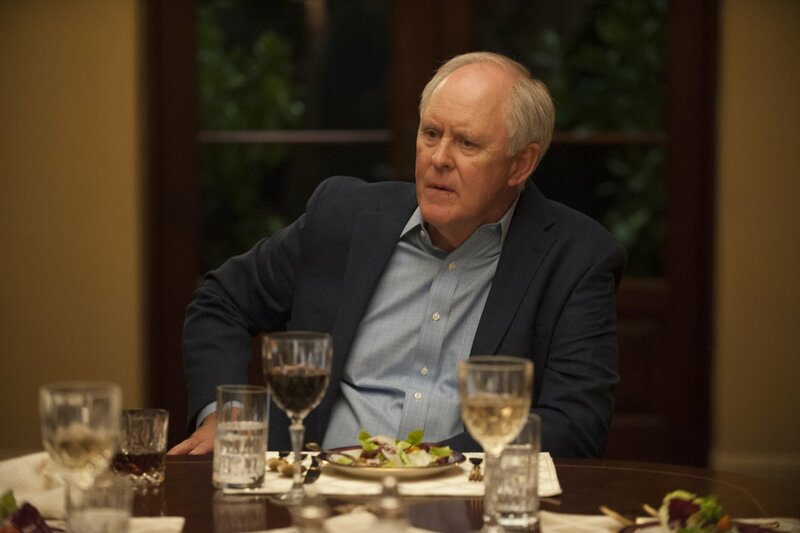 John Lithgow does the nearly impossible in creating the real estate tycoon. Although he exercises his right to do and say things a rich successful businessman can do in a culture where money is king, he endows Doug Strutt with one quality that draws our interest. He listens to Beatriz and actually hears her. The man who dismissed her as a maid on first sight learns she is both smart and wise. Writer, director, and the two lead actors carry the action throughout while their supporting players are fine at creating the grim essence of dinner conversation among men who have succeeded financially and the women who play the supporting roles in life and in the film. Watching Hayek and Lithgow tower above them in anger and despair is a movie lover’s dream. This review was posted on June 25, 2017, in Comedy. Bookmark the permalink.